Have a question? We’re here to help :) Sofer On Site has helped hundreds of Torahs find new homes. Whether you’re interested in commissioning the scribing of a new Torah, or have a need for a ready completed Torah - we can help. If you have a limited budget, we also offer Pre-Owned Torahs. Look out for our periodical special Torah Sales in your email. Do not hesitate to contact us for any questions regarding the purchase of your next Torah. It is a big Mitzvah to write or commission the writing of a Torah. Ever since the Jewish people received the first Torah on Mount Sinai, it has been a distinguished honor for individuals, families or communities to acquire their own Torah. 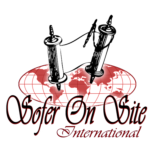 Sofer On Site International has been supplying quality Torah scrolls around the world for over 30 years. Let us help you find a suitable. Have a question? We’re here to help :) Sofer On Site has helped hundreds of Torahs find new homes. Whether you’re interested in commissioning the scribing of a new Torah, or have a need for a ready completed Torah - we can help. If you have a limited budget, we also offer Pre- Owned Torahs. 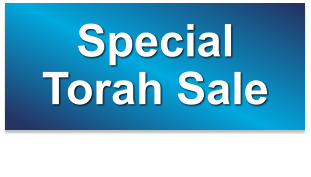 Look out for our periodical special Torah Sales in your email. Do not hesitate to contact us for any questions regarding the purchase of your next Torah.